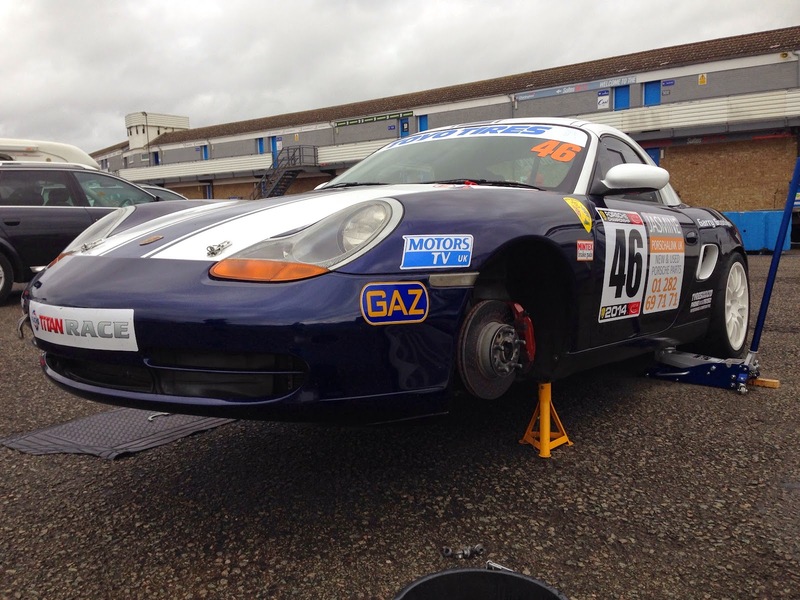 Porsche Boxster Track / Race Car: Running Your Own Race Car...How Hard Can It Be! Running Your Own Race Car...How Hard Can It Be! To some, the idea of running your own race car may seem daunting. There are obviously different approaches available from doing everything yourself, through to getting someone to do everything for you, plus plenty of options in-between. We built our Race Porsche Boxster ourselves with the intent of running it ourselves. The building was part of the fun and experience. Never having done anything like this before was a challenge, took more time than anticipated, but it's the only way we can afford to compete. If the car is reliable, well put together and you are well prepared, then running yourself over a race weekend is very achievable and also rewarding. The work isn't complex, even for people less mechanically minded. If you can jack up a car and change a wheel or your own brake pads, it's well within the capability of a driver and an extra pair of hands to help. In order to make a race weekend manageable, the car needs to be prepared as much as possible before each event. There is enough to do with registration, scrutineering and sorting yourself as a driver out when you arrive at the circuit. The car needs to be ready; good enough to qualify, straight after unloading from the trailer. This typically means fueled for qualifying, battery charged, brakes cleaned, belts adjusted and roll bars/suspension setup to the baseline for the track or the outcome of any practice days. Just tyre pressures to set and go! To make things easier the car setup and ambient conditions for every session on every track are logged in a spreadsheet we keep. This is for use as a reference between sessions and also for the future. This has been invaluable in saving time and giving a good baseline to work from when turning up somewhere new or when the conditions change unexpectedly. 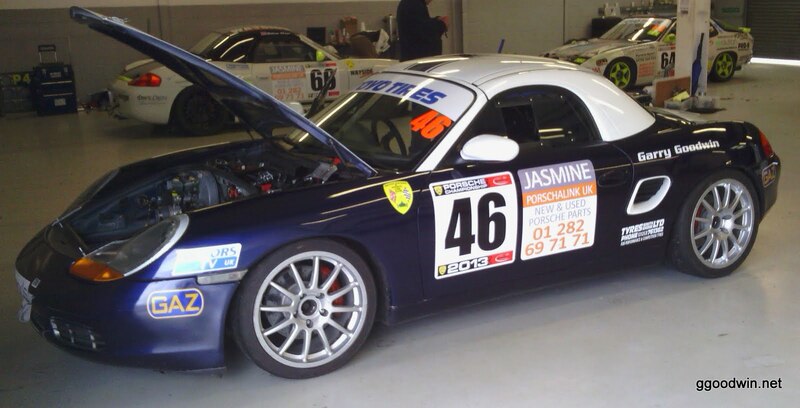 With the car ready, it's just a case of having my race suit and boots on and gloves, balaclava and helmet in the car. Typically this is around one hour before the race time (30-40 mins before we are called to the holding area.) This is in case it rains or conditions change, leaving plenty of time to sort anything out on the car. Trying to get the car and yourself ready at the last minute just isn't possible unless you have a team of people supporting you. Tyre pressures are set higher than needed beforehand so it's just a case of releasing air down to the desired pressure at the last minute. I drive myself to the holding area, and tend to wait in the car, engine running/warming up. There is an order to putting balaclava, helmet, safety belts on. Then setting my lap-timer and finally putting my gloves on, since I can’t reach the dashboard once belted in. This year I have an automatic car camera which records all the time the ignition is on, which means one less thing to worry about too. Once we come off the track, if onsite fuel is open the car can be driven there and refueled straight away to save time and effort. Otherwise jerrycans are used, but this is still typically the first job to do. You also need to give the car some time to cool down! Battery: The race battery needs to be trickle charged overnight before each event. We also make sure the engine is running when using the 12v tyre compressor as it doesn't take much to deplete the battery. Race Harnesses: Harnesses need to be checked and adjusted before each event. To check for wear and tear and to re-adjust as needed. Anti-roll Bars: We set these per circuit before each event, and typically don't then change them unless is rains heavily or I have time to experiment with a different setup. Takes 5 mins per side with an allen key and spanner with the wheels on. Brakes: The drilled discs get clogged up with brake dust and need to be cleaned out after every two track sessions. Takes 10 mins per corner. We typically replace the brake discs at the same time as the pads get to 3/4 worn. Brake pads are lasting at least 3-4 events on the front, but twice that on the back. Wheels: While the brakes are being cleaned its a good time to clean the rubber marbles off each wheel. Wheel bolts have been changed to studs and a cheap 12v impact gun helps to speed up removal and refitting. Then tighten with the torque wrench. Suspension Stiffness: This is set before each event to a baseline for the circuit. A decision is made after each session on track as to stick or change, based on the weather or to address over or under-steer issues. Takes 1 min per corner to twist the adjuster knob and can be done with wheels on. I have even adjusted this in the holding area minutes before the race when it has unexpectedly poured with rain. Tyres: Tyre pressures are critical. Too low and you have no grip until they warm up. Too high and they overheat, get greasy and loose grip into the race. Pressures change with the ambient temperature and conditions, hence our historical log is used as a guide. Usually the last thing to be set before going out onto track and takes 30 secs per wheel. Oil/Brake Fluid/Servicing: As we only typically do 4-5 event per year this is limited to the off-season. No point in changing oil every event / 150 miles. If we did a full season then a service mid way would be sensible. Most changes or minor problems can be tackled with a decent home mechanic tool set. 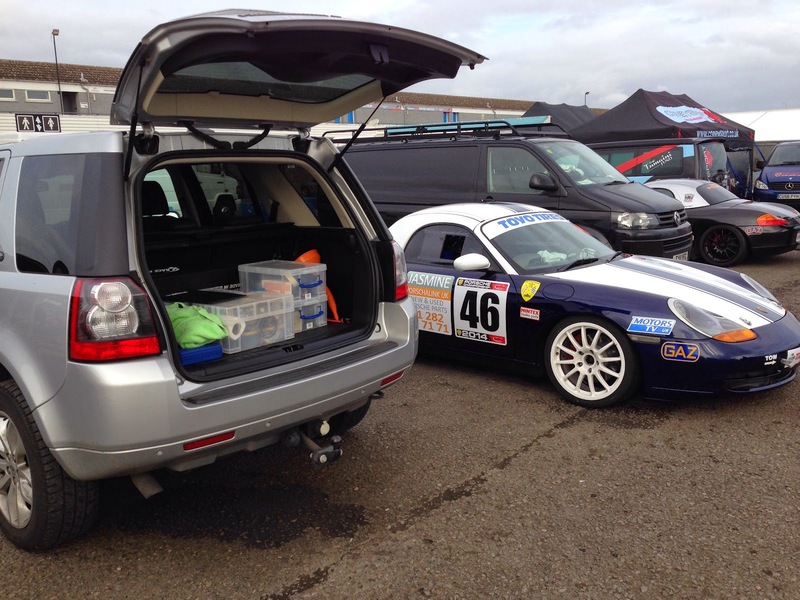 The bulkiest items travel in the race car and the rest in the car boot. Mat to lay on and an Umbrella to keep some rain off! Car boot used to store tools over the weekend. If you need anything else then you have a bigger problem to solve. Once or twice we have needed help from other people in the paddock to fix a problem and keep us racing. Generally people are always willing to assist. The presence of a championship parts supplier means we don't need to carry any specific spare parts. Of course if you end up in the gravel, having a mechanical failure or getting damaged (all of which have happened) you will need more time to sort the car out. This is when being organised and having an extra pair of hands is the difference between getting out for the next race or going home. The methodical approach to preparation and maintenance has contributed to the fact we have only suffered two DNF's in three seasons. The last lap of a race, when the gear selector broke. In hindsight I could have limped home in 4th gear! When the exhaust broke off, causing fumes in the cab due to being knocked over the kerb coming out of a gravel trap after going off on an oil spill. We have never had to go home early or miss a race we wanted to enter. So it's not that difficult if you are well prepared, and is extremely rewarding, especially when you out-perform those who have bigger budgets and professional support.